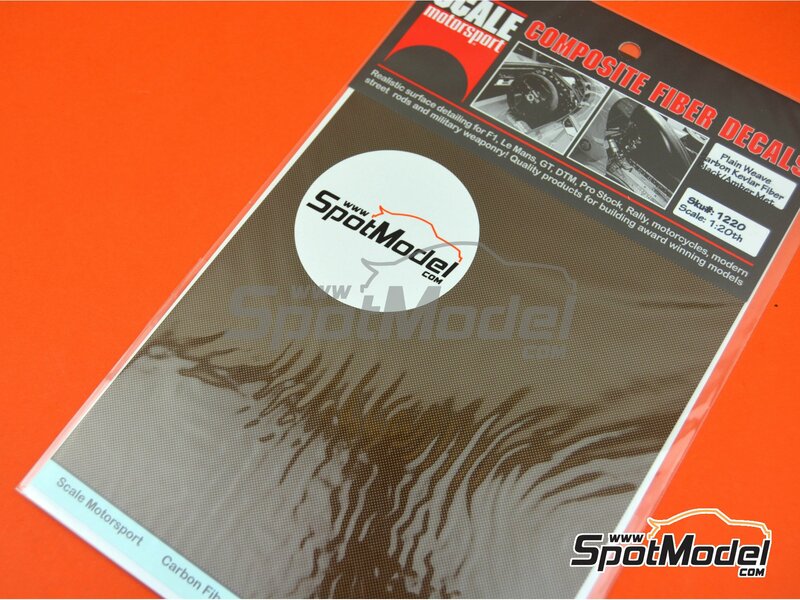 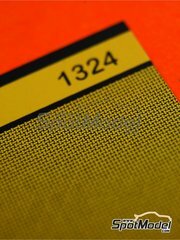 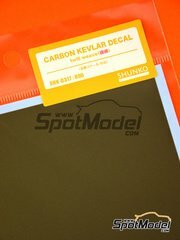 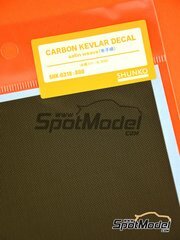 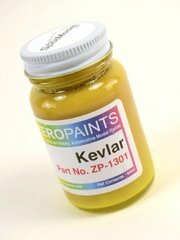 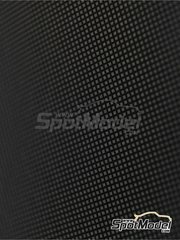 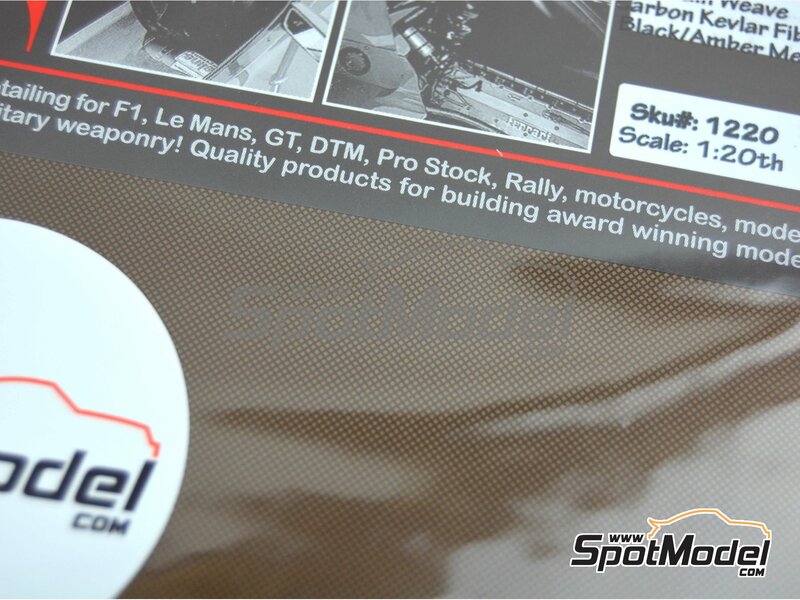 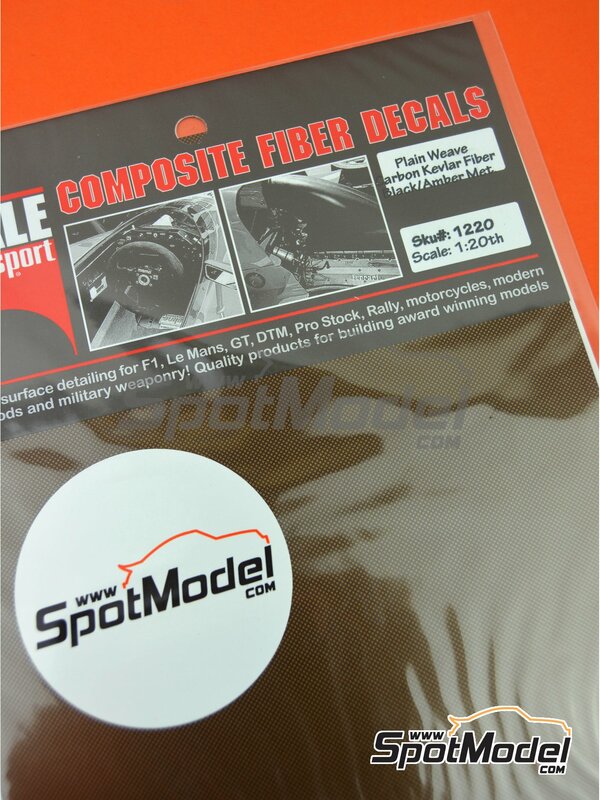 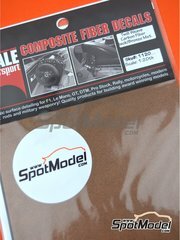 Decal sheet featuring a black and amber kevlar pattern. 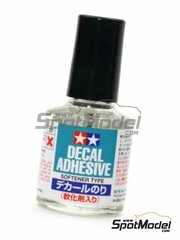 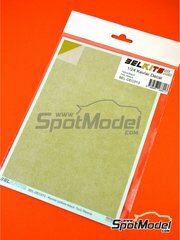 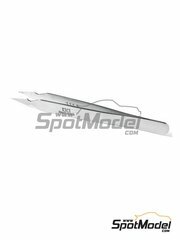 Sheet size is 12 x 18.5 cm and is specifically designed for 1/20 scale models. 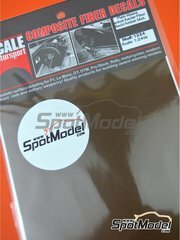 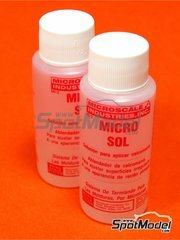 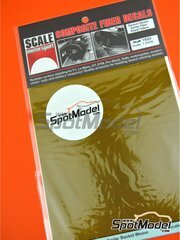 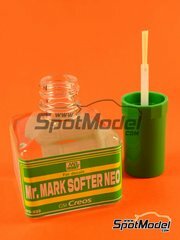 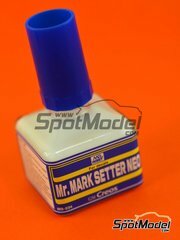 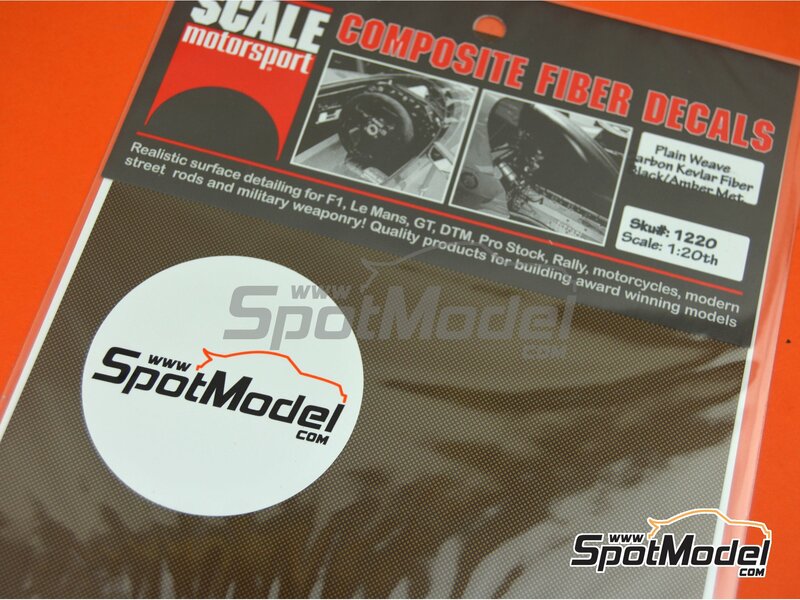 Manufactured by Scale Motorsport in 1/20 scale with reference SM1220 (also listed as 1220). 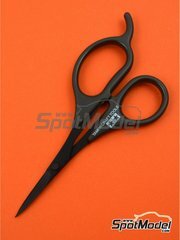 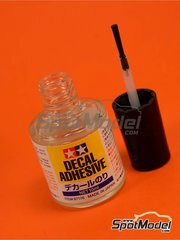 Package measures 125 mm x 205 mm x 1 mm (width x depth x height), weighting 12 g.